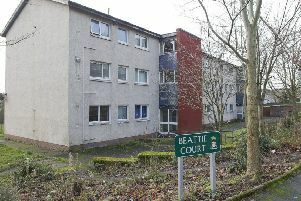 A man is due to appear in court today, August 7, charged with murder following the death of a 22-year-old woman in Peebles yesterday. The 26-year-old accused was arrested and charged yesterday. His alleged victim sustained fatal injuries at an address in Cuddyside, Peebles, at around 11.20am yesterday. She was taken to Edinburgh Royal Infirmary for treatment but died at around 7pm. The man was detained by police at a car park near the Tesco store in Peebles. He has been charged with two further assaults and a breach of the peace and is due to appear at Selkirk Sheriff Court today. Officers are still seeking witnesses and are urging anyone with information to come forward. Detective Inspector Paul Batten, of Galashiels police station’s criminal investigation department, said: “This is a tragic incident which has ended in the loss of a young life. “Our thoughts and condolences are with the young woman’s family, and they are currently being supported by specially trained officers. “We are keen to speak to anyone with information that can assist our inquiries. Anyone with information can contact officers at Galashiels CID on 101, quoting incident number 1871 of August 6, or pass it on anonymously through Crimestoppers on 0800 555111.